1. Rubber-band a plastic bag filled with vinegar around your shower head and it will basically de-scale and deep-clean itself. No scrubbing required. Just leave it anywhere from a couple of hours to overnight, pull it off, and ta-da! You'll have a Pinterest-worthy before-and-after. To get the bubbles, add a dash of baking soda; I've had it work well with both straight vinegar and the combo. Some people swear the bubbling reaction's essential for loosening up particles; others note that, once the reaction's over and the bubbles stop, at least some of the vinegar will just be water with a bit of salt; I say, follow your heart. 2. Dust your ceiling fans with an old pillowcase to trap the grime, instead of just brushing it back into the air and onto your floor. Just put the pillowcase over each blade and slide it off. From Homemaker Chic. 3. 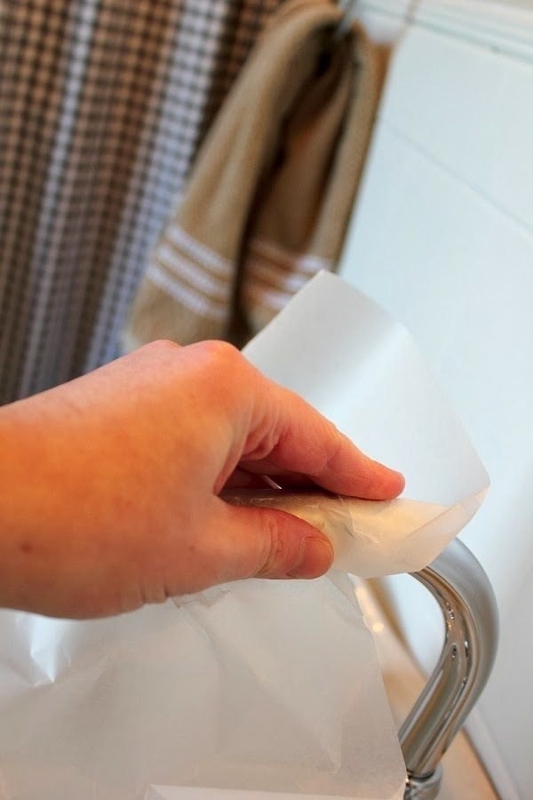 Wipe your baseboards with dryer sheets to help them repel dust and pet hair. Get a box of 240 dryer sheets on Amazon Prime Pantry for $8.24. 4. 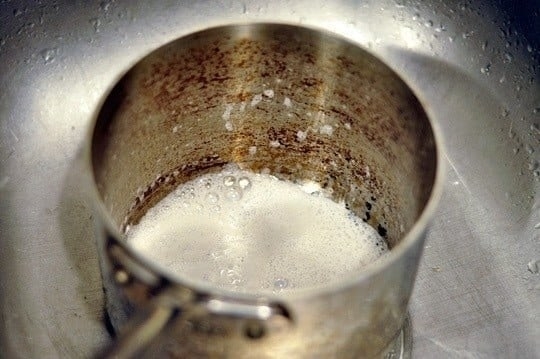 Mix cream of tartar and water into a thick paste to clean that sticky dust buildup that nothing else seems to touch. 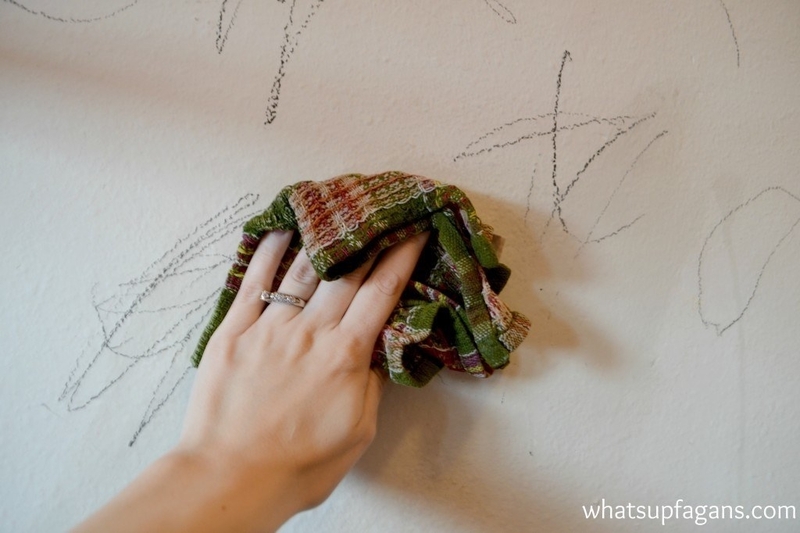 Pick up a bit of the paste on a damp sponge or cloth, then scrub the gunk off in small sections. 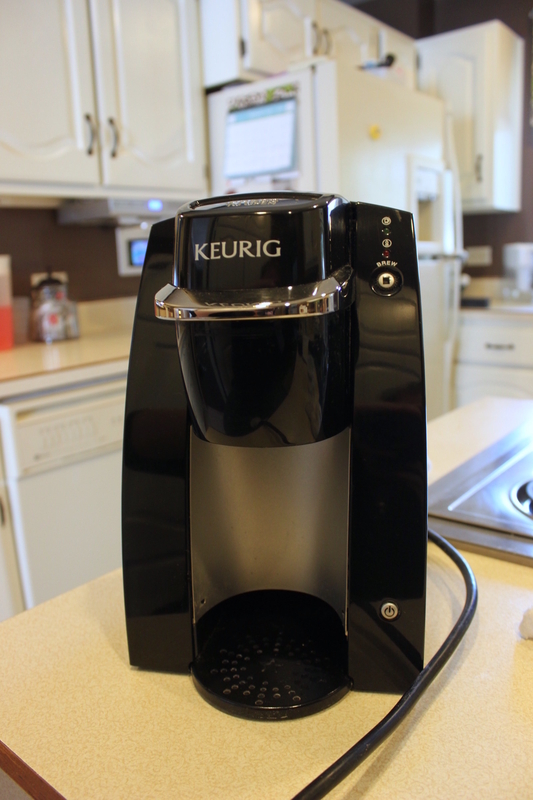 This also works really well on cabinets, backsplashes, and stainless steel! From My Life As I Pin It. 5. Or you can immediately erase that greasy dust by dabbing a little mineral oil on a cleaning cloth. I've had success doing this on my vent hood and stovetop, after I've cooked a few too many pans of easy potstickers! Once the grimy buildup is gone, it's probably best to wash the oil off, too: dish soap works really well. Oh, and you can also substitute almost any oil for this, including cooking and olive oil, but if you don't completely clean those oils off, they may go rancid (and make your kitchen smell). From One Good Thing By Jillee. 6. Banish embedded pet hair from any upholstered surface — in your car or in your home — by spritzing the the area with water, then scraping it up with a squeegee. Then just vacuum up the clumps. From CareaBearaSara. 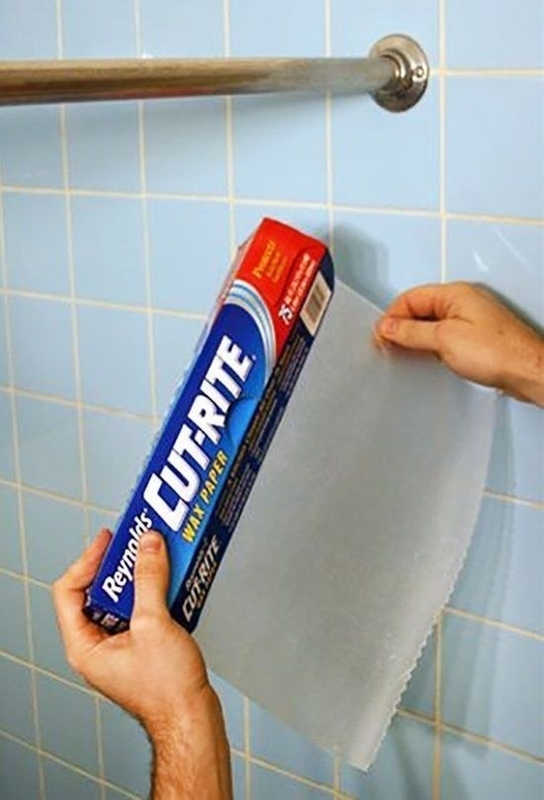 If you don't have a squeegee lying around already (perhaps hoping to be used in your shower), you can get one on Amazon for $6.99. 7. Dissolve hard water stains on your water faucets by wrapping them up in vinegar-soaked paper towels for an hour — they'll wipe off in one go. From Lemons Lavender and Laundry. 8. Vanquish the cloudy scum buildup on glass shower doors, no elbow grease required, with a few dollops of cooktop cleaner. Rub it on (generously), scrub a little if you want, then rinse off. One reviewer, who said their door was basically opaque white, said it took several tries to get it completely clear again. But as long as your door's not quite so far gone, one use should do it! Get a bottle on Amazon for $7.63 or two bottles for $11.20. 9. 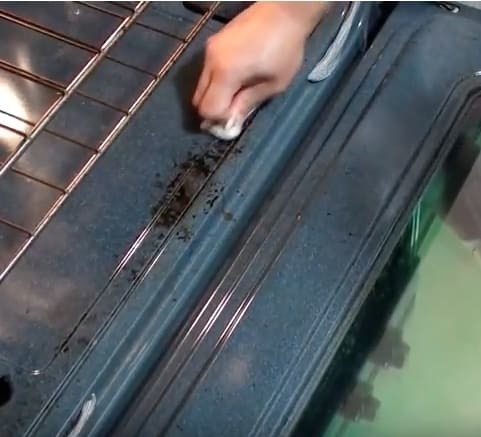 Bust through cooked-on grime in your oven by scrubbing with a Magic Eraser. 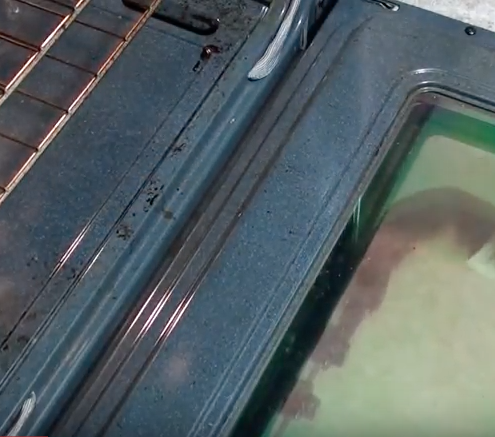 It works on oven glass, too! From here. Get an eight-pack of Extra Durable Magic Erasers on Amazon for $9.48. FYI, you can find dupes of the original Magic Erasers on Amazon for cheap — they're just rectangles of melamine foam. Get this pack of 20 on Amazon for $8.95. Some reviewers swear they're exactly the same (if not better), but others say they disintegrate faster than the name-brand version. 10. Run your ceiling and floor vents through a rinse cycle in the dishwasher to quickly remove all the built-up dust. Skip the detergent and the heat-dry cycle, especially if your vents are plastic. From Design Dazzle. 11. 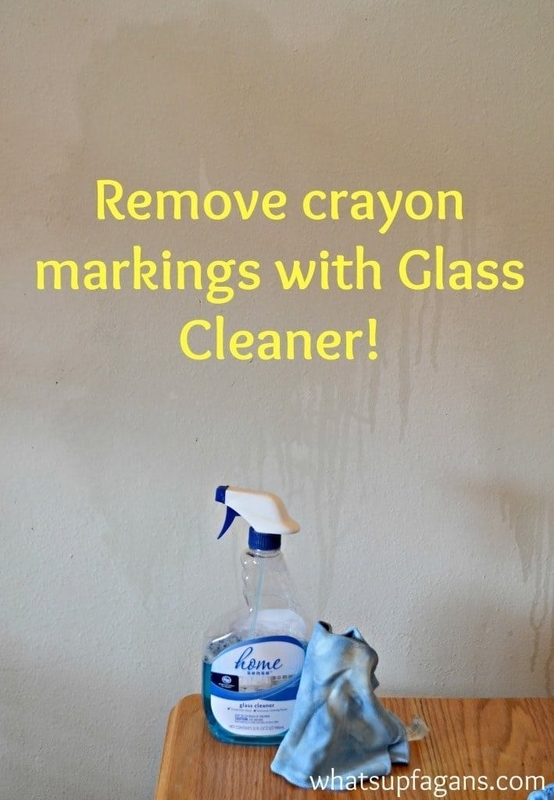 Spritz some Windex to clean crayon marks off painted walls without scrubbing off paint or leaving residue behind. Find out which other techniques work to remove crayons (and which ones don't!) on What's up, Fagans? If your Windex supply's running low, get a pack of two on Amazon for $15.79, or one bottle from Prime Pantry for $3.77. 12. 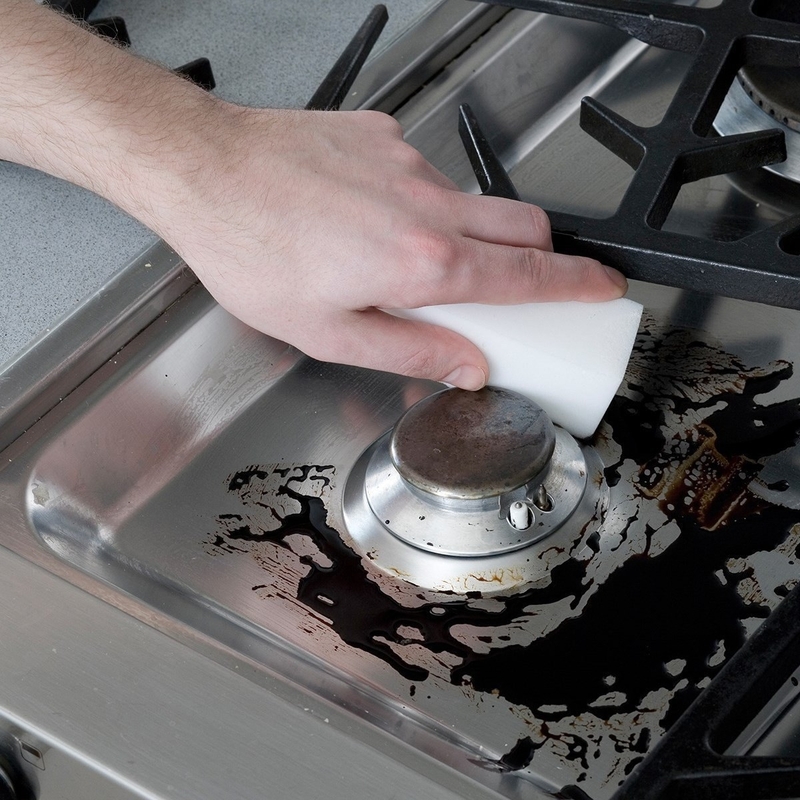 Team up with Barkeeper's Friend and a scrubbie pad to make the burnt-on bits on pots and pans vanish right before your eyes. It may take some elbow grease, but it will actually work! Go to town on stainless steel pans, enameled cast-iron pans, and the *outside* of your non-stick pans. Just NEVER use on any nonstick surfaces. From The Kitchn. Get a two-pack of Bar Keeper's Friend powder cleanser on Amazon for $9.29. 13. 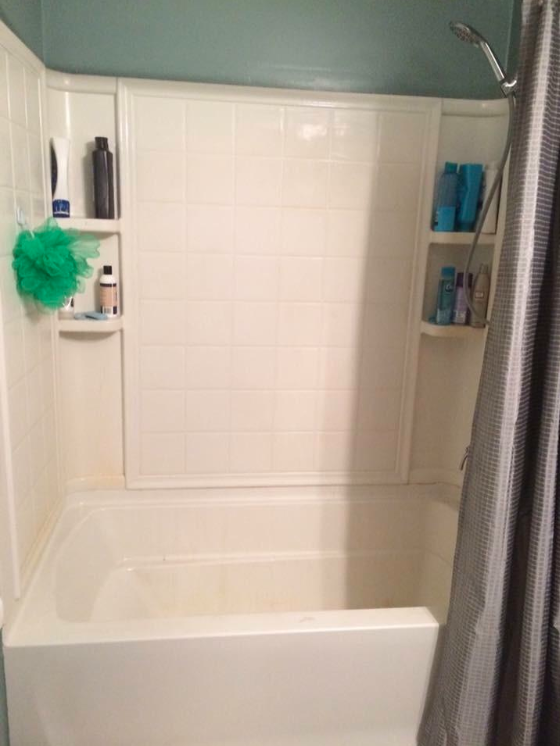 Reach for bleach or a specialty cleaner when faced with surface mold (aka mildew) in your shower — oh, and a good scrub brush. And wear gloves and a long-sleeved shirt to protect yourself. Read more on Family Handyman to find out the best (and safest!) ways to tackle mold all around your house. And remember, never combine ammonia or any product containing ammonia with bleach — it creates a toxic gas. Get supplies on Amazon: a mold gel cleaner for $12.99, a deep clean brush set for $5.99, and three sets of protective gloves for $13.96. 14. 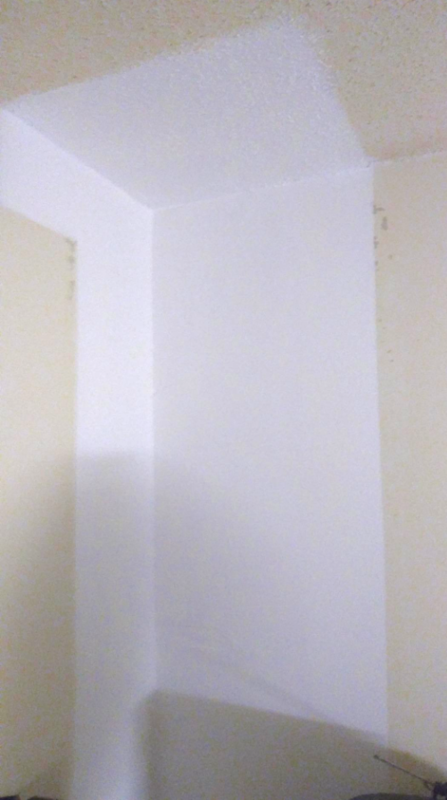 And if you have *surface* mold on your walls, first clean it with diluted bleach, let dry, then cover the area with a mold-killing primer. 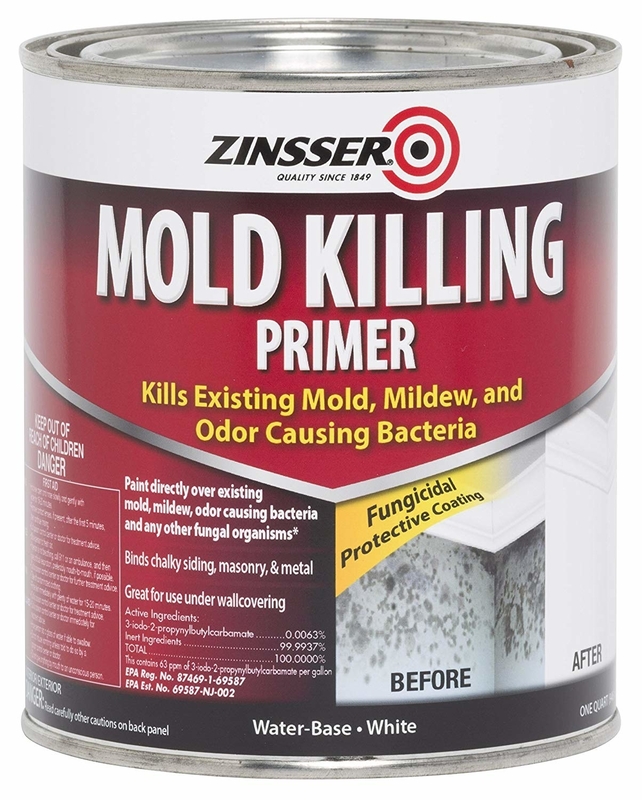 But if the mold keeps coming back, or it seems like the mold's in the walls and not just on the surface paint, you may need to call in the pros. Get a quart of primer on Amazon for $10.84. 15. Microwave a bowl of lemons and water to make all the gunk come out in one easy swipe. The lemons are totally optional, though they'll add a nice citrusy-fresh scent! 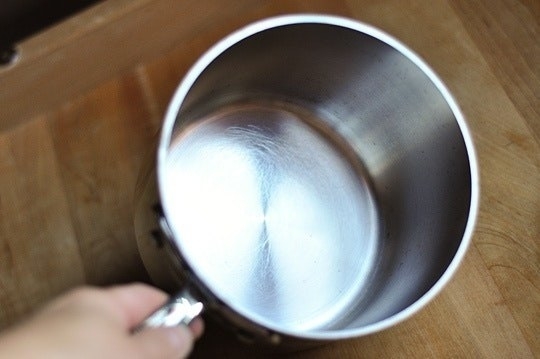 Microwave the water for five minutes, then let the bowl sit and steam for another two minutes, and you'll be able to wipe out all the gunk in one go. 16. Ditch the hard water buildup on your faucet the same way you did the shower: with a rubber band, plastic bag, and vinegar. If they're heavily stained, you can also use a more intense mineral cleaner; from Two Twenty One, who uses CLR (Calcium, Lime, Rust) Cleaner. Get two 28-oz bottles of CLR on Amazon for $17.54. 17. 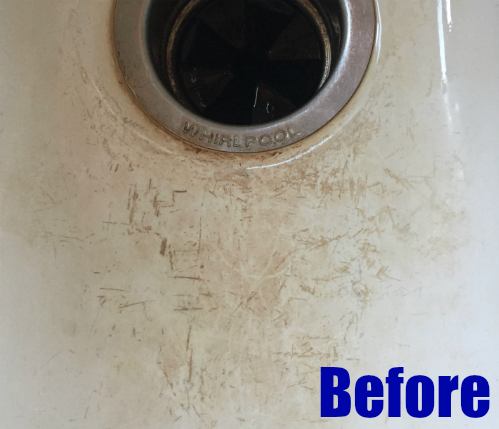 Scrub out rust stains from your tub and shower using a combination of Dawn dish soap and vinegar, followed by a good scouring with a Magic Eraser. Get two big bottle Dawn refills (you'll use it all eventually!) 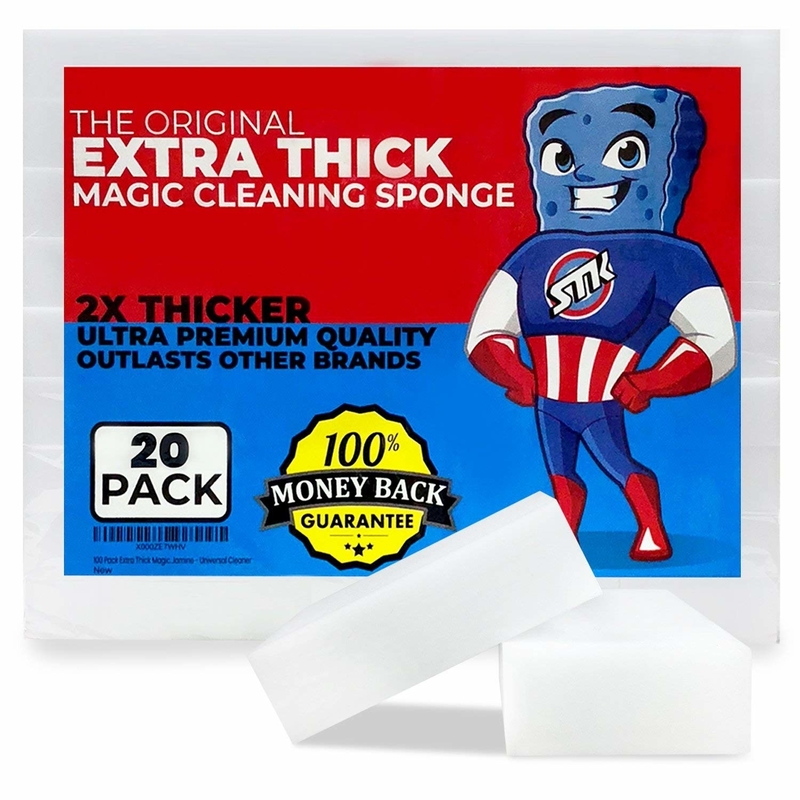 for $12.68 and box of eight Heavy Duty Magic Erasers for $9.48, both on Amazon. 18. But if your rust buildup's REALLY bad (or you have better things to do besides all that scrubbing) fall back on scientifically-proven chemistry, aka this powerful spray. 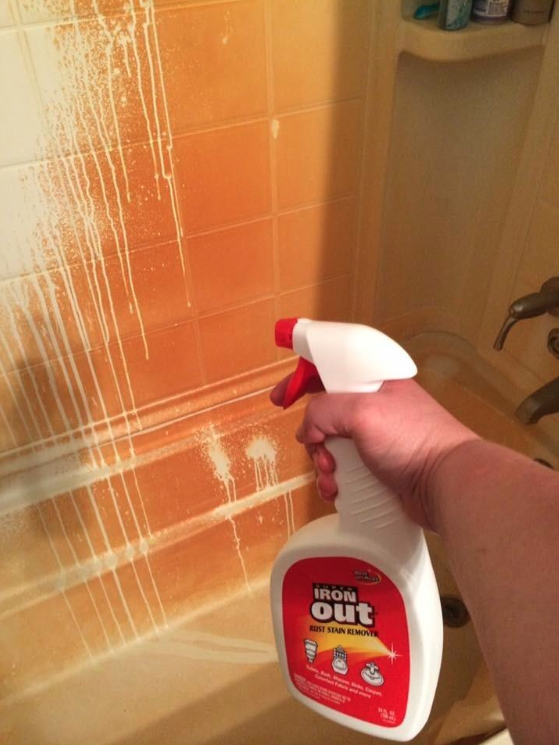 This stuff's a gel that clings to the wall for a bit so it can work to dissolve the stain. 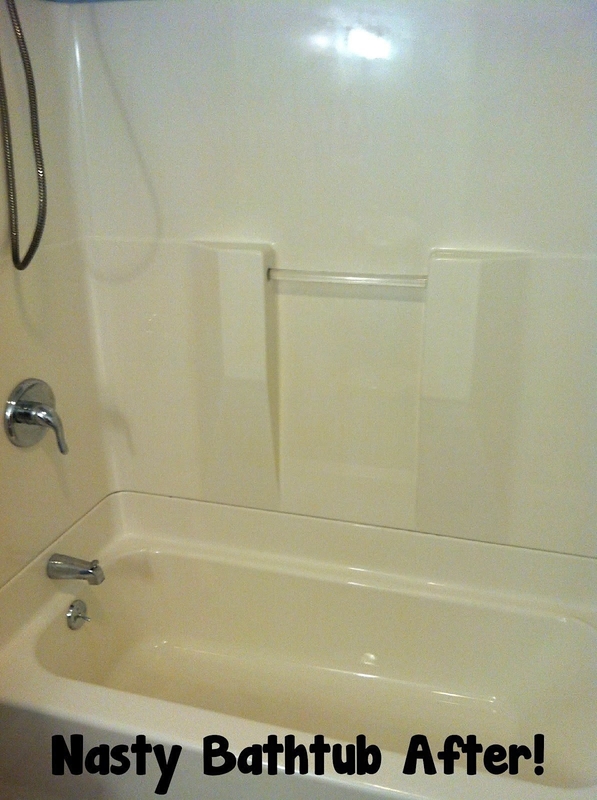 All you have to do is spray, walk away for anywhere between 20 minutes and an hour or two, and wipe or rinse it away. Get a bottle on Amazon for $4.98. 19. 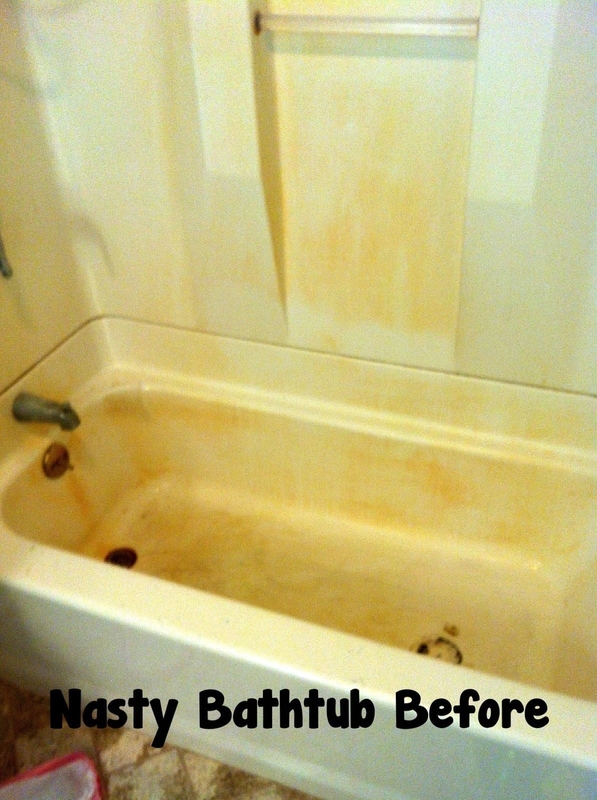 Whiten a grungy porcelain sink with a paste of baking soda and a little bit of hydrogen peroxide. 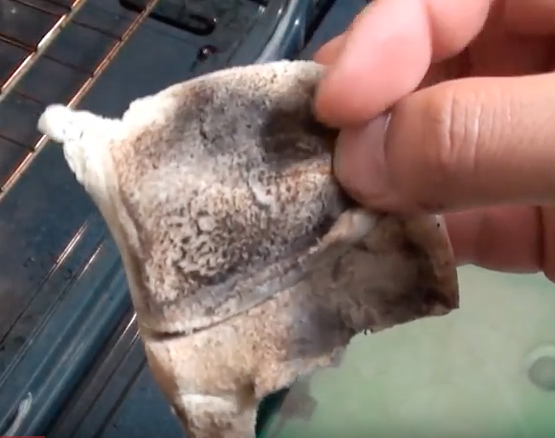 Sprinkle in the baking soda first, then dab the hydrogen peroxide on a sponge and scrub away. 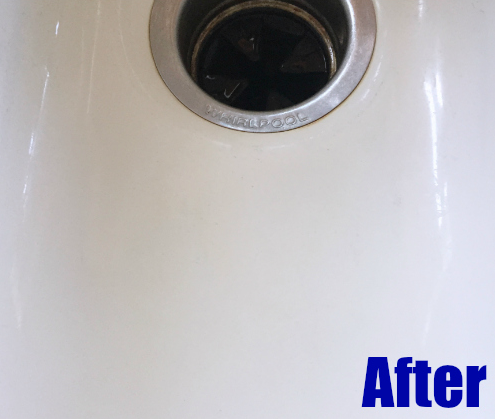 The baking soda will help bust up stuck grime, while the peroxide will act like a bleach to make the surface extra bright. From Lemons Lavender and Laundry. 20. Shine up your refrigerator and any other stainless steel appliances with a coat of Pledge. 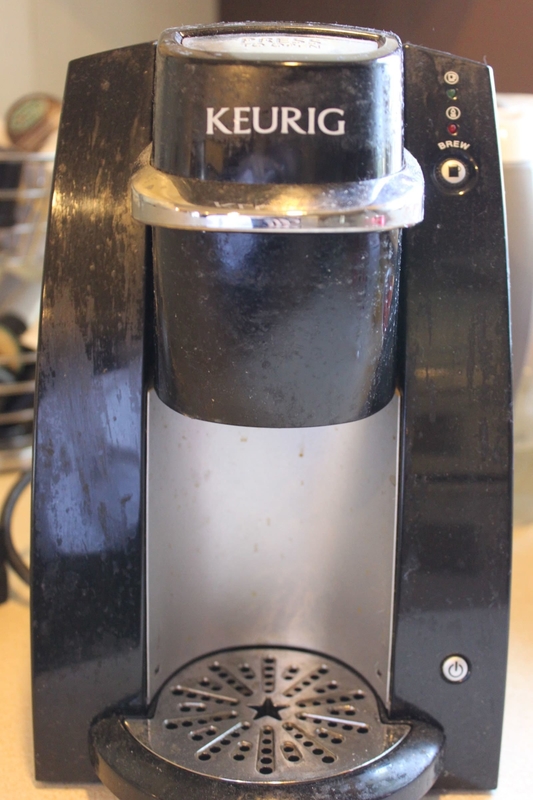 I've done this with my stainless for years, and it still works like a charm. Just clean off any big pieces of gunk first. From The DIY Girl. If you need to restock, get three can of classic Pledge for $12.69 on Amazon. Or try Pledge Multi Surface (a cleaner and disinfectant), on Amazon Prime Pantry for $4.23. 21. 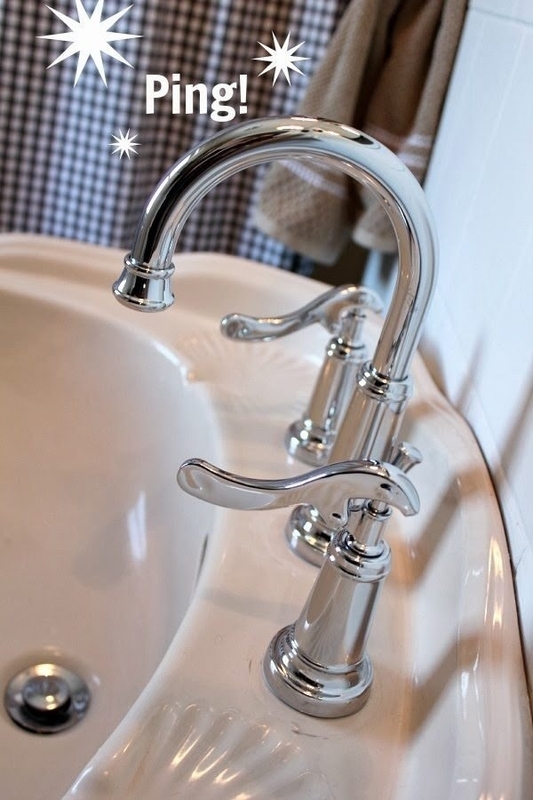 Prevent water spots on your chrome faucets by rubbing them with wax paper. It'll also keep 'em extra shiny! 22. 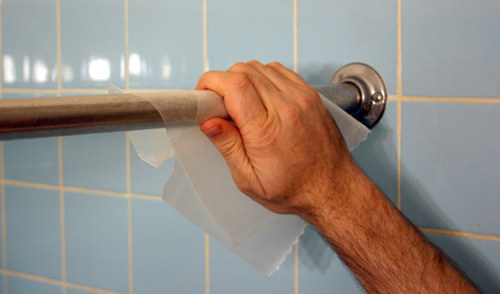 Then "wax" your metal shower curtain rod to help your curtain slide more easily. 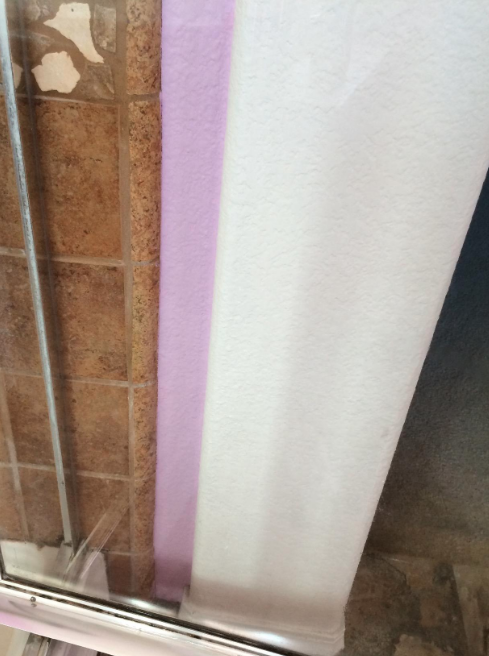 In retail, rubbing metal racks down with wax paper mades hangers glide smoothly, at least according to Reddit. So the the same concept should apply to your shower curtain. From Apartment Therapy. 23. 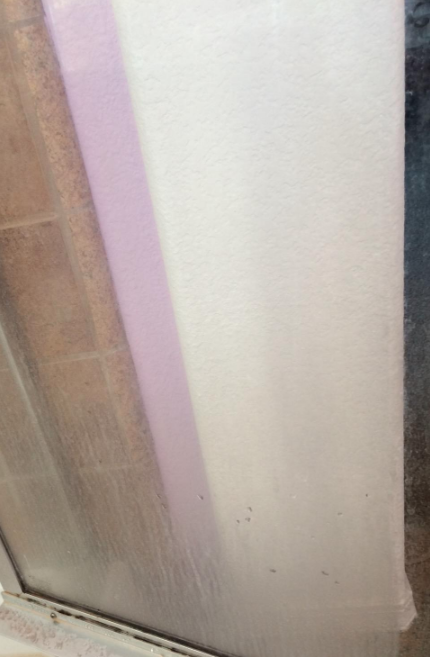 Quickly de-fuzz a screen door or window screen by running a lint roller over each side. From Handyman Magazine. Get a pack of five 95-sheet lint rollers on Amazon for $21.07 (that's 475 sheets total). 24. Stop buying single bottles of all-purpose cleaner — instead, mix your own by pouring a capful of concentrate into a reusable spray bottle filled with water. You can totally re-use that single bottle you're almost done with, of course! The goal = to waste less plastic AND save money. Get one gallon of Simple Green concentrate for $15.50, a 1/4 gallon of Mrs. Meyers Clean Day concentrate (in the lavender scent) for $7.86, and a set of four plastic spray bottles for $11.98.